Wednesday, July 6, 2016 2:15 pm. Updated Dec. 18, 2018 - Bellhops completed $31.4MM Series C raise, bringing total raised to nearly $59MM. July 13 2017: The TFP reported that Bellhops named Luke Marklin, a 31-year-old former Uber regional manager, to be CEO, succeeding Stephen Vlahos, who remains a director and major shareholder. Doody is now president and chairman. Our 6/6/16 story is below. -Ed. BELLHOPS, the widely touted Chattanooga-based startup, aims to shift U.S. consumers from soul-crushing self-help toward using the company's college-student contractors for household and office moves, and other heavy-lifting, packing and hauling. What's more, with 75% of household moves in the U.S. being executed on a do-it-yourself (DIY) basis, Bellhops sees a "multi-billion-dollar" opportunity -- and enough Blue Ocean in this newish consumer marketplace to warrant raising further capital in the not-so-distant future, said Cameron Doody, the company's co-founder, chairman and president. Chartered in 1Q 2013, the company has raised more than $22MM in capital, said Doody, declining to estimate when it might pursue its next letter-round. 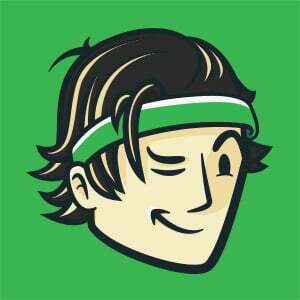 It closed a $13.5MM Series B raise in December. Doody founded the company with CEO Stephen Vlahos and COO Matt Patterson. The co-founders together hold the large block of the company's equity, he said. CTO is Atlanta-based Scott Downes. 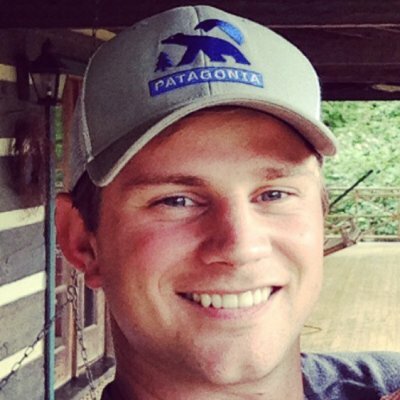 VP-special operations is Nate Sexton, whom Doody credited as the main reason the company has such a strong focus on customer-experience. Doody explained that a fourth (25%) of U.S. residential moves are executed by traditional van lines, producing a commercial moving-services market greater than $18BN for traditional companies. With the other 75% of us renting trucks, straining backs and busting knuckles, that means that, while the manner of the owners' long-term exit remains indeterminate, even the IPO option can remain on the table for the time-being. Consumers no longer need to agonize between "begging friends" to help with moves or hiring traditional commercial transporters, said Doody. Instead, he asserted, "we're providing a really high-caliber workforce that people like to be around" when they opt to let someone inside their homes to handle their personal possessions. Bellhops' initial investment came from principals in the venture incubator The Lamp Post Group in Chattanooga, which is controlled by founder/investors in Access America transportation, a Chattanooga company that sold in 2013 to Chicago-based Coyote Logistics. Outside advisors include attorney Tom Butler of Maynard Cooper & Gale (Birmingham) and Los Angeles-based Josh Collick of Orrick. The company banks with Bank of America. 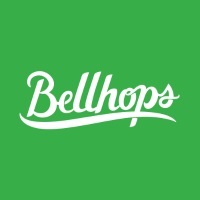 Internally, Bellhops is hiring at all levels as its footprint and headquarters needs expand, said Doody. The company is expanding to occupy 18,000 sq. ft of office in downtown Chattanooga, where it employs about 93 full-timers. For this summer moving season, it also has more than 70 part-timers aboard, particularly in its call center, which he said fields thousands of calls per day. The company is now executing jobs for its customers in at least 85 markets, and is focusing more effort on deepening rather than broadening its footprint. The company will soon roll-out an enhanced-services package in 17 of its markets. It has also made a priority of providing more jobs to its 6,000 most valuable contractors in key markets, said Doody, age 30. Doody asserted that, with 15 million college students in the U.S., and most household moves occurring during collegiate summer recesses, the company is -- somewhat to his own surprise -- having little trouble enlisting very fit, polite, motivated and positively energetic contractors. Students who are involved in sports, ROTC and similar disciplined pursuits are prime recruiting targets. While most are men, some women -- typically with crossfit or strength training -- are also on the team. "We're doing 10 times the number of jobs we were doing two years ago," he told Venture Tennessee on July 1, declining to discuss revenue or profitability. Doody also told VTC the company's workforce is doing "tens of thousands of jobs per month." Two years ago, in 2014, Pando Daily reported Bellhops projected doing 15,000 mostly residential jobs that year. "10X" that number could mean 150,000 jobs this year. Today, the company's website says each residential move costs the customer an average $165. Doody said that adding enhanced services, such as packing, means a roughly $400 ticket, still far below charges of traditional van lines. Crunchbase, which does not contain details of each Bellhops capital raise, today says the company has had five rounds of capital, with investors including Lamp Post and other angels, Binary Capital, Canaan Partners, TechStars Ventures and Great Oaks Venture Capital, among others. Asked about potentially national competing companies in the sector, Doody mentioned Dolly (Seattle), Lugg (San Francisco) and UBER's on-demand logistics play, UBERCargo, now piloting in Hong Kong (where Lalamove fka EasyVan also operates). Asked about franchise models, such as those of traditional movers such as Two Men and a Truck, Doody made clear he has "no interest in franchising whatsoever." An online search produced numerous college student on-demand ventures, including North Carolina-based Sweeps, which includes moving among its offerings. Also, most major cities seem to have small, often family-owned moving companies that market with similar emphasis on workers' politeness, energy, concern and other traits.